Paul Relis was raised in Long Beach, California. 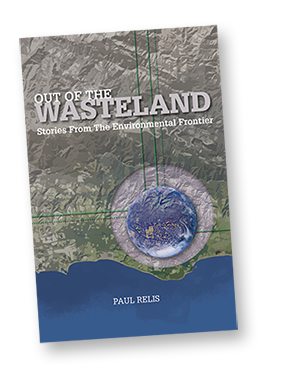 He was a student at UC Santa Barbara when on January 28, 1969 a massive oil spill off of Santa Barbara’s coastline helped trigger the modern environmental movement. He became at 23 the founding Executive Director of the Community Environmental Council. Together with his colleagues they helped shape the future of the Santa Barbara region and went on to pioneer recycling, urban gardening, solar energy, green design and building, programs that were to become the backbone of what we call sustainability today. Following twenty years as the leader of the Council, he served on the California Integrated Waste Management Board in Sacramento, California, a powerful regulatory agency charged with managing the state’s solid waste system and implementing California’s nation-leading recycling program. Today he is engaged in the development of one of the largest facilities in North America to convert municipal organic waste to a carbon-negative fuel to power heavy duty engines, a landmark effort to end our dependence on land filling waste and reduce greenhouse gas emissions.